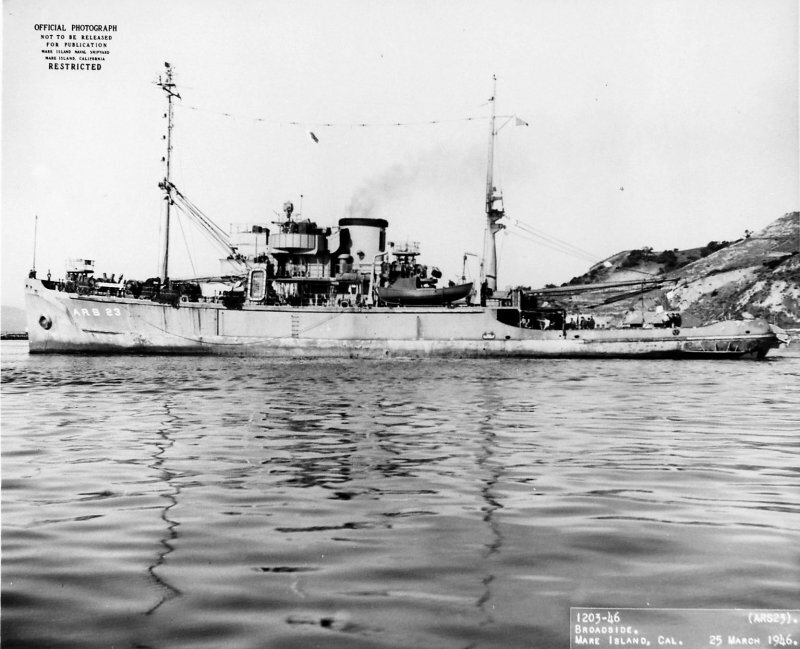 Laid down, 2 April 1943, at Basalt Rock Co. Inc., Napa, CA. 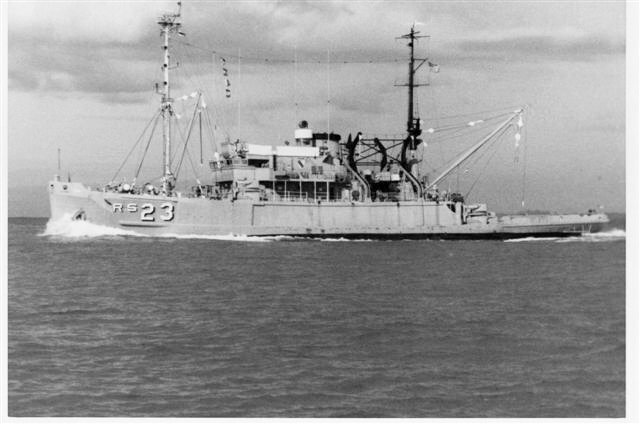 Decommissioned, struck from the Naval Register, 1 August 1979, at Pearl Harbor, HI. 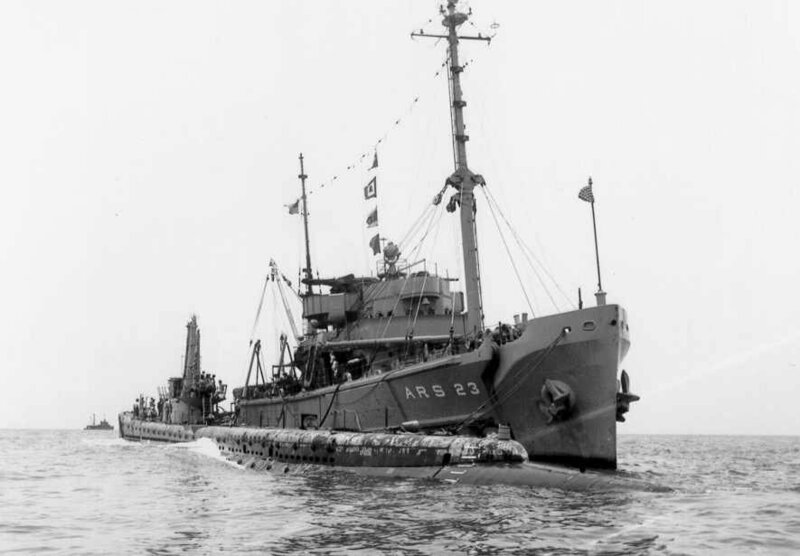 67k Bow on view of USS Deliver (ARS-23) departing Navy Yard Mare Island, 25 March 1946. 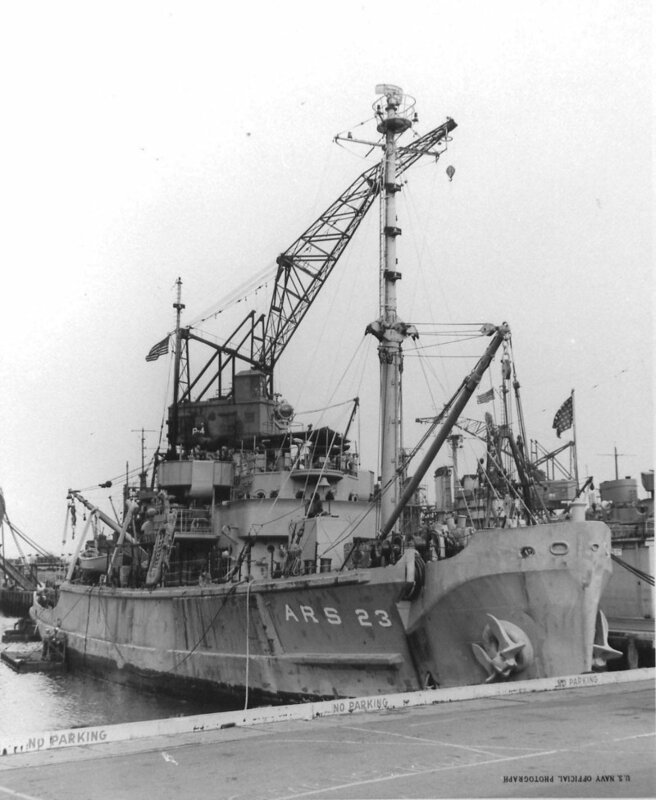 94k Broadside view of USS Deliver (ARS-23) departing Navy Yard Mare Island, 25 March 1946. 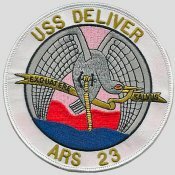 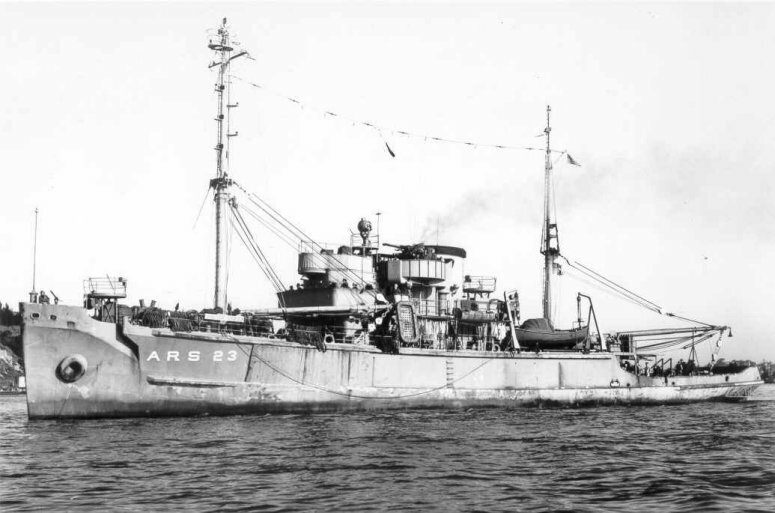 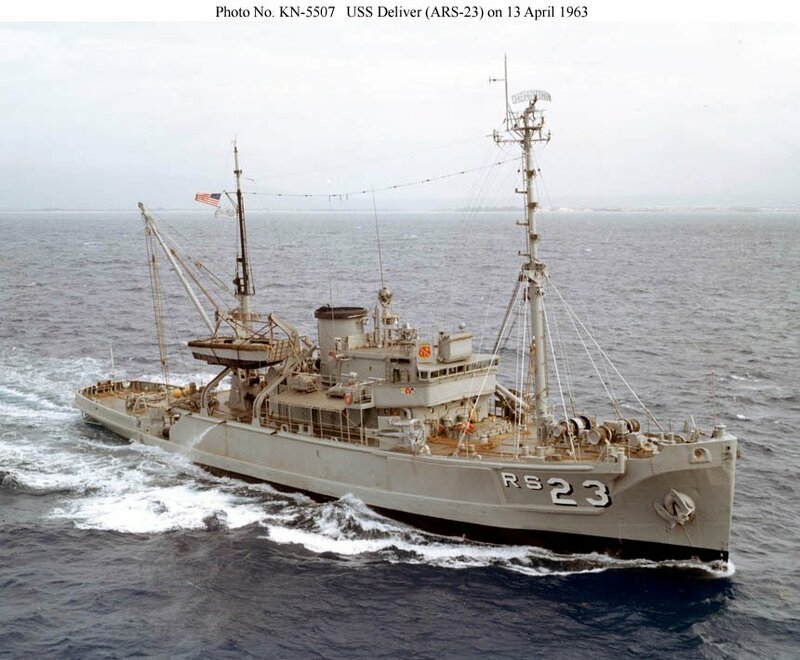 Deliver was in overhaul at Navy Yard Mare Island from 28 February to 8 April 1946. 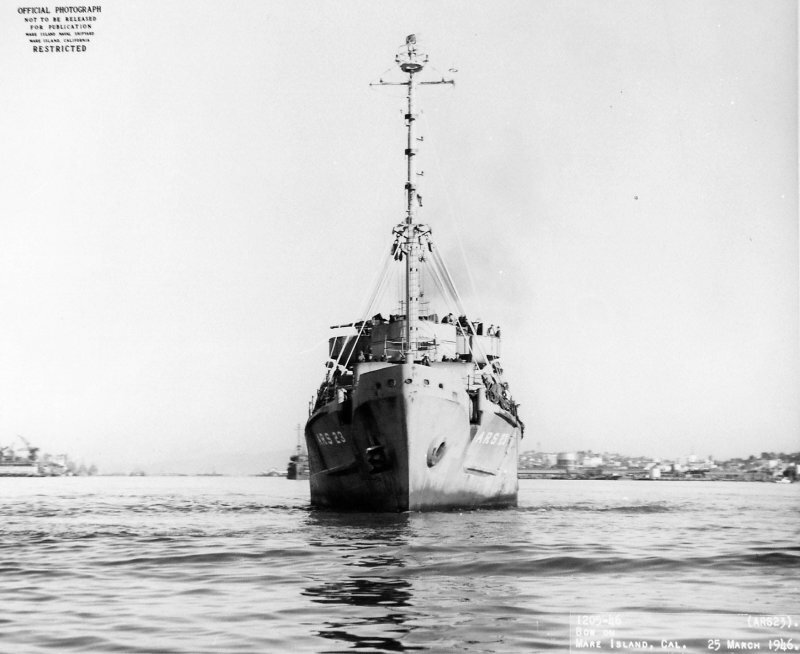 54k Stern view of USS Deliver (ARS-23) departing Navy Yard Mare Island, 25 March 1946. 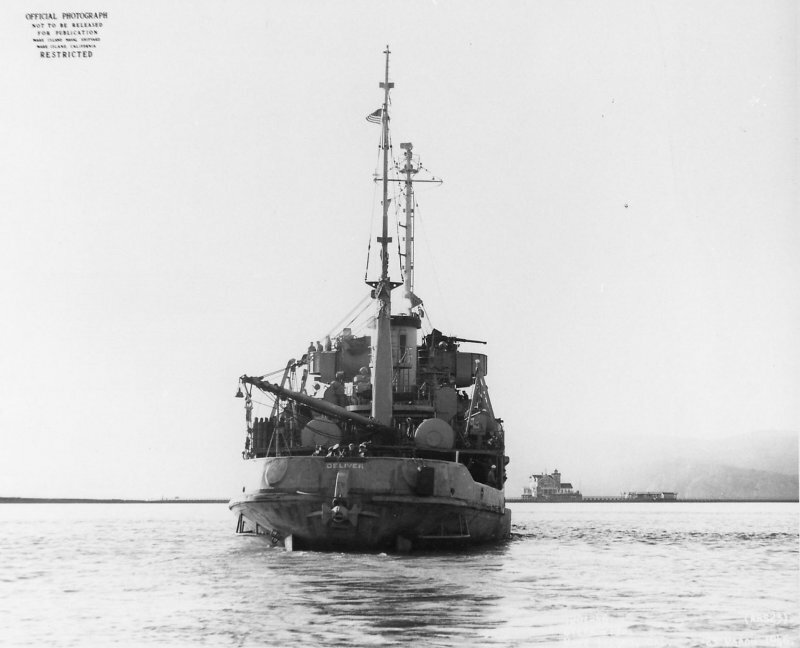 126k Forward plan view of USS Deliver (ARS-23) at Navy Yard Mare Island, 17 October 1946. 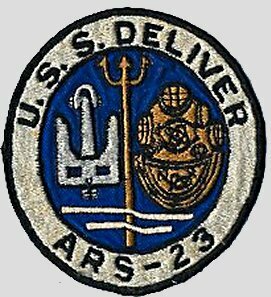 Deliver was under repair at Navy Yard Mare Island from 9 October 1946 to 2 January 1947. 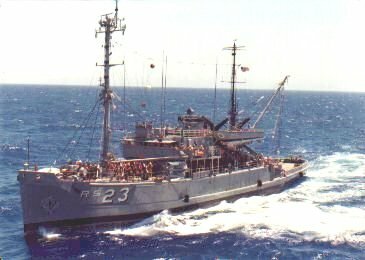 110k USS Deliver (ARS-23) underway off Oahu, Hawaii, 13 April 1963. 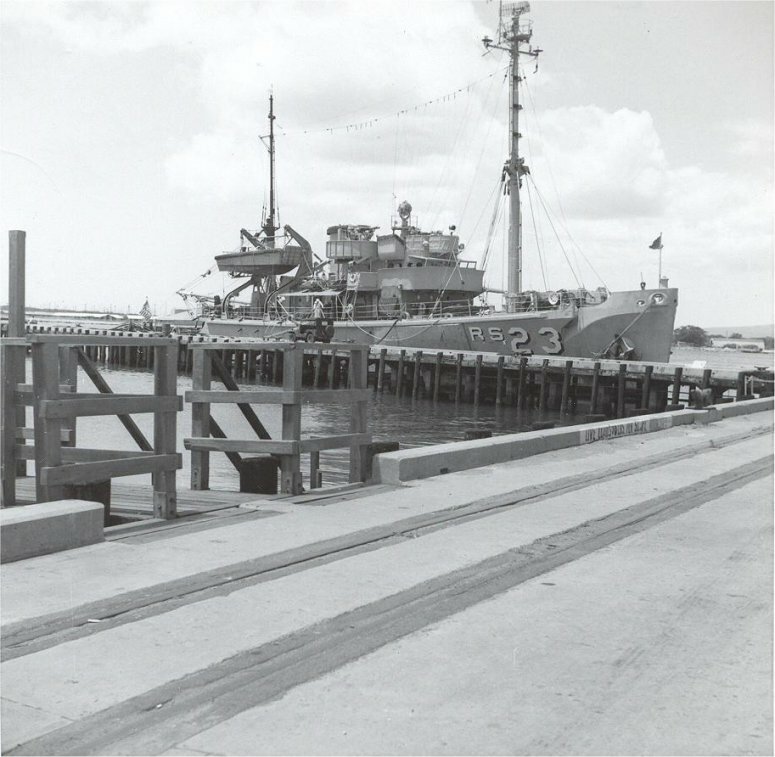 Her original two 40mm twin gun mounts and their large gun tubs have been replaced with a single 40mm gun on the center line on the signal bridge. 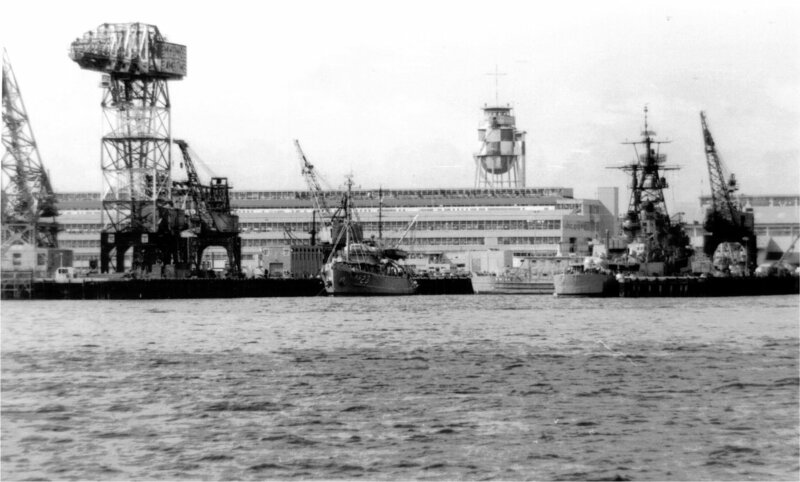 191k USS Deliver (ARS-23) moored pierside Naval Shipyard Pearl Harbor, HI., date unknown.